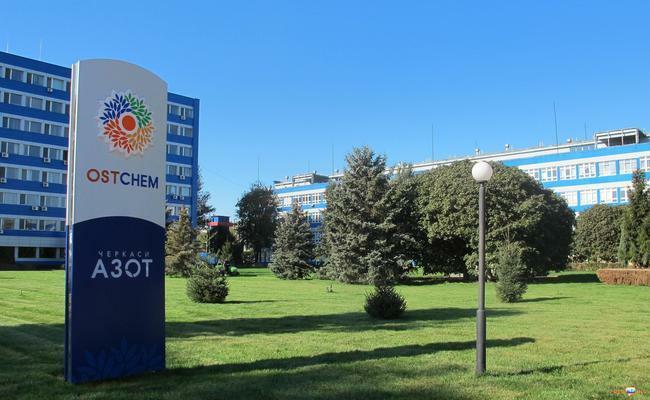 "The protection and preservation of the natural ecosystem of the region — one of the priority objectives of the modernization of the Cherkassy" Nitrogen. "Since 2010, we have invested in eco-projects of more than 60 million hryvnia. As a result, we managed to reduce dust emissions of ammonium nitrate to 60 tons per year of carbon — by 1.1 tons per year, nitrogen dioxide — by 110 tons per year of ammonia — 5 tons god.V in the next two years will allocate 111 million hryvnia, among them — 30 million hryvnia in 2013, "—commentedVitaly Sklyarov. According to him, among the most important environmental programs Cherkassy "Nitrogen", scheduled for 2013, — the improvement of sewage treatment plants and modernization of enterprises ammonia production. In particular, before the end of 2013 Cherkassy "Nitrogen" plans to improve the sewage treatment process, reducing the amount of solid waste. "Since 1992," Nitrogen "purifies not only the industrial waste water, but also domestic waste water of several residential areas of the city, as well as waste water other companies in the region — saidZoe Khorolska, Head of Environment of "Nitrogen". — As a result of wastewater treatment sludge generated — solid waste deposited on the margins of our sludge treatment facilities. These wastes are preserved in a special storage company. In order to avoid an overflow storage which has a limited capacity and is operated for quite a long time, we are investing more7.5million hryvnia to the reduction of solid waste. " In addition, in 2013, of "Nitrogen" to allocate2.5million hryvnia for the development of projects to modernize the production of cyclohexanone (construction of a clean-up of the reaction gases) and ammonium nitrate (upgrade installation to clean up emissions). According industrial health laboratory company, the actual concentration of ammonia in the habitable area is 70% of the permitted rules nitrogen dioxide — 60% carbon dioxide — 30%, and emissions of cyclohexanone, cyclohexanol and benzene — no. The introduction of environmental programs in 2013 will reduce ammonia emissions by 301 t and 116.3 tons of urea. As Alexander Hulin, CEO of the holding OSTCHEM:"Reducing the impact on the environment — one of the priorities of our corporate otvetstvennosti.Vkladyvaya means to protect the environment, we care about the health, comfort and well-being of our employees and local residents, as well as raise the competitiveness of our products in international markets." Hulin said that "Azot" has already received certification under the international environmental management standard ISO 14001, which allows the company to participate in international tenders.